In September 2016 we had our 12th annual concert. More than 70 students participated in the whole-day event, and we enjoyed performances by piano, violin, flute and clarinet. The performances of the day showcased our students’ abilities to perform and displayed the proficiency of their music learning. Our teachers provided much creative and educational input, encouraging the students to perform to their very best. A BIG THANK YOU to all members of staff, parents and students involved in this successful concert. Our amazing Senior Wind Ensemble led by Ms. Victoria Parsons. BIG THANK YOU to our teachers, students, and parents! We love seeing our teachers and students all dressed up for the day. Each of our young performers got a goody bag and certificate to celebrate their achievements! We are proud to see our students from a range of ages performing their best on that day. 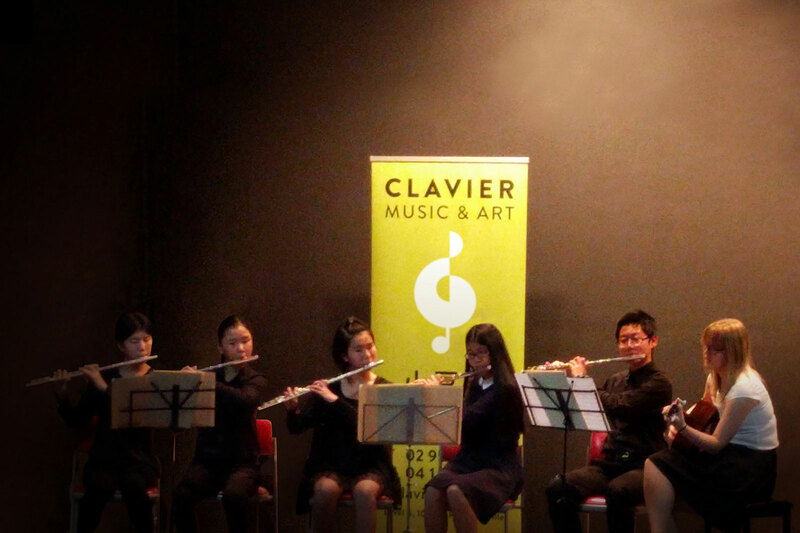 Clavier’s youngest performers displayed many pieces in a variety of genre and skills, bravo! Some of our best performers were featured in the last concert session of the day. The student showed amazing talent, and the teacher are immensely proud of their young ones performing so brilliantly!